Afghanistan pakistan Halbrook is not sure is Pakistan against Afghan Taliban? 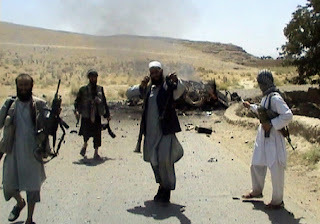 Halbrook is not sure is Pakistan against Afghan Taliban? American special Envoy for Afghanistan and Pakistan Richard Halbrook said in an Interview with Financial Times Newspaper that i am not sure that is Pakistan turned against Afghan Taliban or not. Richard Halbrook said this while talking about the recent arrest of second top Afghan Taliban leader Mula Abdul Ghani Baradar from Karachi. Richard Halbrook said i can,t give a Judgement that is Pakistan really turned against Afghan Taliban or not? Some analysts are calling arrest of Mula Baradar a good thing for Americans while some are saying that Pakistan has done it top stop Americans and Afghan Taliban from doing direct dialogues without involving Pakistan because Pakistan also want its part in dialogues. in recent days Many Afghan Taliban leaders are arrested from Pakistan.